Who is this cleaning contract for? 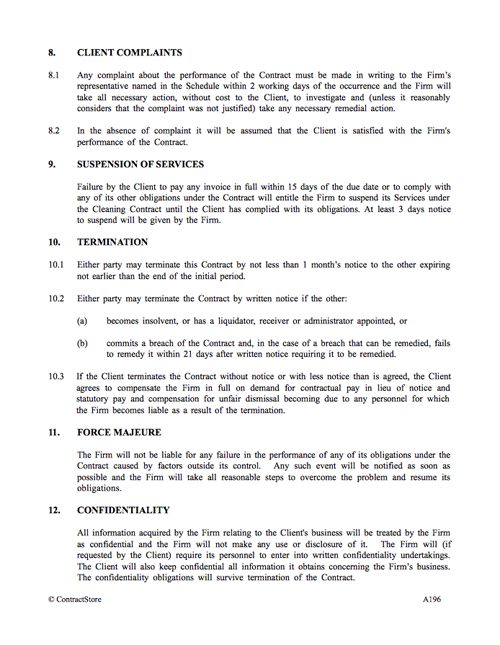 What are the main issues to cover in a cleaning company’s contract? There are the practical issues, which include description of services, timing and frequency of visits access to client property, security procedures etc. Legal issues include responsibility for vetting staff, responsibility for loss or damage, insurance and a limit on the company’s liability. What detailed terms does this cleaning licence contain? 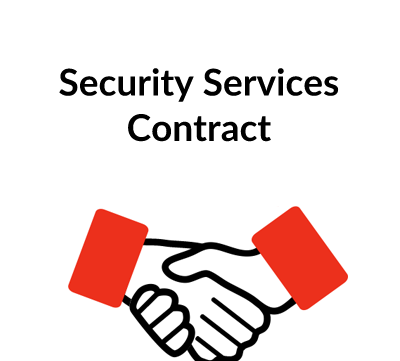 There is also a schedule to be completed for each contract, setting out the charges, details of services, location of work etc. ContractStore supplies templates and is not a law firm. But all our templates are written by experienced lawyers. So we can arrange legal assistance for customers who need special terms in one of our documents or a bespoke template. . For more information see our Legal Services page. Terms of Business (in a reduced 2 page format as well as ordinary text), a Schedule containing job specific details and a Form of Agreement. 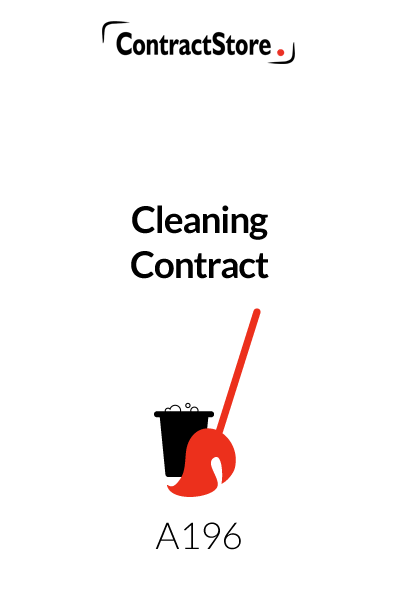 This arrangement allows a cleaning company to provide the Terms of Business separately from the Form of Agreement when it is tendering for work. Once the details have been agreed they can be set out in the Schedule and the one page Form of Agreement signed by each party and attached to the Terms of Business and Schedule. This contains a few definitions which are in a format that does not have to be changed depending on specific project details. Clause 1.2 makes it clear that these terms are the only ones which apply to the contract and anything put forward by the client is excluded. 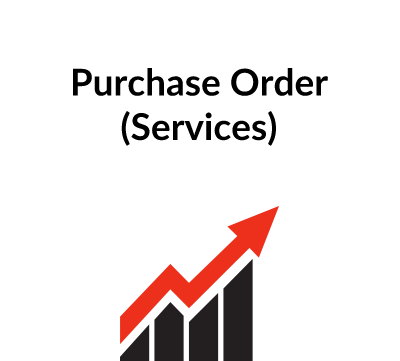 This sets out the basic obligation of the firm to provide the services which are set out in the Schedule. If any equipment is to be supplied by the client then the wording will need to be changed slightly or else this point can be dealt with in the Schedule. 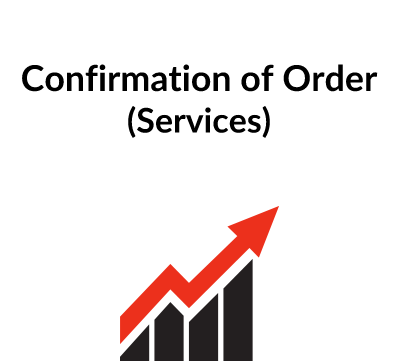 This clause contains the default position for invoicing and payment. Any special terms should be put into the Schedule. Clause 4.2 requires the client to query invoices within 3 days and clause 4.3 provides for interest if payment is late. The law referred to here allows the firm to claim interest at the rate fixed by the government which at present is around 8% above base rate. An alternative is to have a rate fixed in the contract – e.g. 3% above the base rate of Barclays Bank. Price increases are dealt with in clause 4.5. In practice, it is going to be necessary to obtain the client’s agreement to any increase in charges before they are implemented unless there is a formula in the contract – e.g. that the annual increase will be in line with RPI. This clause contains some general obligations on the firm, in particular that it already knows or has obtained references from its cleaners as well as ensuring that they are reliable. If the firm provides uniforms for its staff, this can be mentioned in clause 5.3. Generally, clause 5 is designed to give some assurance to the client that the cleaning company and its staff can be relied on. The clause deals with a number of practical matters designed to ensure that the firm’s cleaners can get access at the agreed times and they know how to deal with the fire alarm and any other security systems. In addition, the client is required specifically to ensure compliance with health and safety requirements. This is designed to ensure that the firm’s liability for loss or damage to client property only arises if there is proven default on the part of the cleaning staff. The firm should maintain a public liability insurance policy to protect it against this risk. It is sensible to have a time limit within which clients are expected to raise any complaints. While this clause contains appropriate wording, if the client does not raise a complaint within 2 working days, the firm could still have a potential claim against it. Circumstances beyond the control of the firm would allow the firm to avoid its obligations under the Contract. Whether a client would accept that shortage of staff is a “force majeure” is a matter of conjecture, but on the face of it, this clause should give some protection to the firm in such circumstances. Cleaning contractors frequently run the risk of losing staff to clients. This clause is intended to prevent the client from offering work to the firm’s cleaners both during the contract and for six months after it comes to an end. A breach by the client entitles the firm to claim compensation as set out in the clause. This clause is designed to limit the firm’s liability, first by excluding liability for indirect losses, incurred by the client and secondly by capping the liability in any month at the level of fees that are payable under the contract. Since it is not permissible by law to limit liability for death or injury, this risk is unlimited. While the contract does not require it , the firm should take out public liability insurance to protect against these risks. If a dispute occurs, this clause has a three-stage process for dealing with the problem. First, direct negotiation between senior executives, secondly, if this does not resolve the matter, the dispute can be referred to mediation. (Our free document Z140 gives some information on the mediation process) Only after these processes can a dispute be referred to the courts. Under clause 16.1 the wording makes it clear that any previous arrangements or agreements are of no effect once the contract is signed. Under clause 16.2 if one of the parties is let off the hook after committing some breach of the contract that does not prevent the other party from later taking action against him. Under clause 16.3 if one of the terms of the contract became invalid for some reason, this clause deals with the situation. Under clause 16.4 neither the client nor the firm has the right to transfer the contract to somebody else.